Valencia College is a college in Orlando, Florida, United States. This state college was founded in 1967. 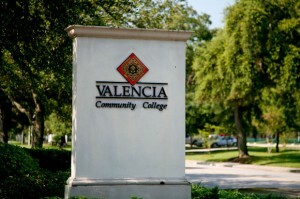 Valencia College received its current name in December, 2010. The school’s name changed from community college to college after the academic scope of the school expanded to include bachelor’s degrees. The school is named after Valencia oranges, which are grown in central Florida. Valencia has several campuses in Orlando with additional campuses in Kissimmee and Winter Park. More than 30,000 students enroll at Valencia College each year. Valencia College is committed to providing the tools for success to its students, including student learning, degree completion and equity in earnings upon graduation. Valencia College is very hands-on, with smaller class sizes being a key factor in its success. The average class size at Valencia College is 24 students. 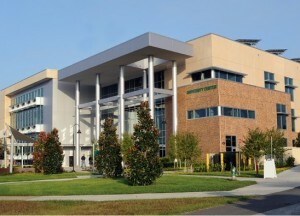 The Valencia College student body is large, with approximately 50,000 students in 2012 spread over the five campuses and three training sites. There are many different programs available to students at Valencia College, including Bachelor Degrees. The school has programs in Health Sciences, Communications, Education, Engineering, Nursing, Science, Mathematics, and Criminal Justice to name a few. 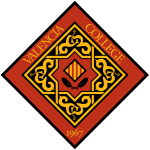 The Valencia Foundation’s $68 million endowment is about 12 times the average community college endowment. This endowment has allowed for the college to commit to local businesses, organizations and individuals. Valencia College offers a quality education while maintaining its value. The A.A. degree is equivalent to the first two years at a State University, but costs approximately 40% less. There are various ways to pay for tuition, including an installment plan. Valencia College also gave out over $182 million in financial aid in 2011. Valencia College per-year tuition rates for those in-state are approximately $2.971.00 and for those out-of-state, rates are approximately $11,256.00. Keep in mind that there are other incidental fees students have to pay including: books, research materials, and personal. Valencia College operates a total of five campuses and three sites locally. The five campuses are located in Florida: East Campus, West Campus, Osceola Campus, Winter Park Campus and Lake Nona Campus. Valencia College also has state-of-the-art training facilities. This includes The Criminal Justice Institute, which is a 77,000-square-foot training institution that is certified by Florida Department of Law Enforcement. At this institution, students can learn how to operate law enforcement and correctional facilities, including advanced courses and specialized training. Valencia’s Downtown is located in the Chicone Building in Orlando. It is home to the Office of the President, Academic Affairs, College & Community Relations, Valencia Foundation and Workforce Development. Valencia College also offers continuing education and professional training at the Sand Lake Center. There is also the Valencia Center for Global Languages which offers conversational English and Spanish Courses, as well as cultural diversity workshops. Valencia College is a commuter school and does not offer student residence or housing. Valencia College offers a rich student life with many extracurricular activities intended to complement the school’s academics. Some of the clubs and organizations offered at Valencia College include: Legal Society, Film and Video Club, Art in Motion, and Music. Valencia’s film production program has even been called “one of the best in the country” by Steven Spielberg. The school has even had legendary talent teaching at the school with Bob Newhart teaching in 2003. Intramural sports are available at Valencia College which allows students to have a break form academics and destress. The Valencia Community College bowling team has been very successful, currently holding Six State championships. There are many notable alumni from Valencia College that have contributed to a wide variety of different fields. Notable alumni that have contributed to music include Backstreet boy members Chris Kirkpatrick and Howie Dorough. Athletes include baseball player Mike Bielecki and football player Olindo Mare are also graduates of Valencia College.